WASHINGTON, June 14, 2018 /PRNewswire-USNewswire/ -- To create awareness and honor those working to prevent this tragic loss of life, volunteer advocates from American Foundation for Suicide Prevention presented three distinguished attendees with State Awards at the annual Allies in Action Awards dinner on Tuesday, June 12 in Washington, D.C. at the Washington Court Hotel. These honorees were recognized for their leadership in making suicide prevention and mental health the legislative priority it should be. "The incredible support of mental health awareness from Sen. Newell, Mr. Torlakson, and Ms. Dittmar has proven that they are true advocates. 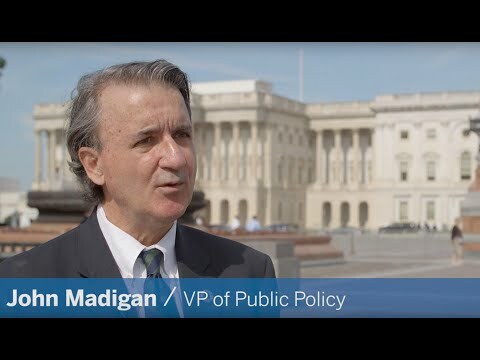 Their commitment to making changes in policy through both statewide legislation and personal action have made a difference in their communities, and made them all allies in AFSP's mission to save lives and bring hope to those affected by suicide," said John Madigan, vice president of public policy for AFSP. In the Colorado Senate, Sen. Newell successfully introduced multiple bills aimed at helping to expand suicide prevention efforts and resources for Colorado residents, addressing children, families, and mental and behavioral health. As California's state superintendent of public education, Mr. Torlarkson played a direct role in the 2012 creation of the Student Mental Health Policy Workgroup, which aims to improve student mental health through policy recommendations on early identification, referral, and access to services. Ms. Dittmar has been instrumental in bringing about positive policy change throughout Maryland, and worked closely on the "text-to-911" system, a policy initiative to allow people with hearing or speech disabilities to send and receive text messages with 911 operators that was recently adopted in Maryland. The American Foundation for Suicide Prevention is dedicated to saving lives and bringing hope to those affected by suicide. AFSP creates a culture that's smart about mental health through education and community programs, develops suicide prevention through research and advocacy, and provides support for those affected by suicide. Led by CEO Robert Gebbia and headquartered in New York, AFSP has local chapters in all 50 states with programs and events nationwide. AFSP celebrates 30 years of service to the suicide prevention movement. Learn more about AFSP in its latest Annual Report, and join the conversation on suicide prevention by following AFSP on Facebook, Twitter, Instagram, and YouTube.